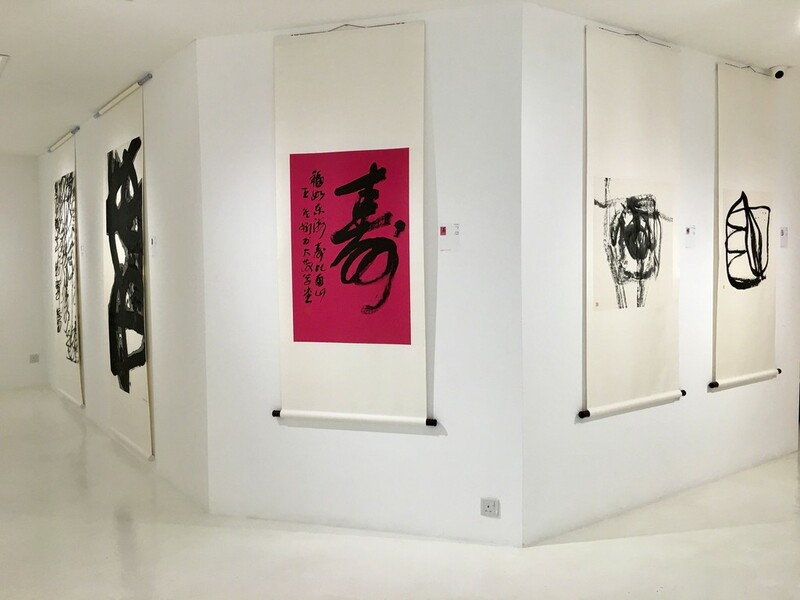 In conjunction with Singapore Art Week 2018, iPreciation proudly presents Along the Great Path 行於大道, a solo exhibition by acclaimed Chinese calligrapher and ink artist, Wang Dongling 王冬齡. 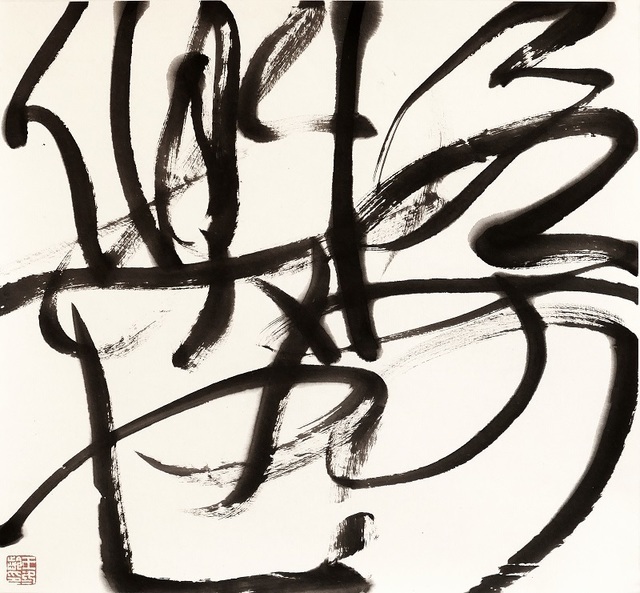 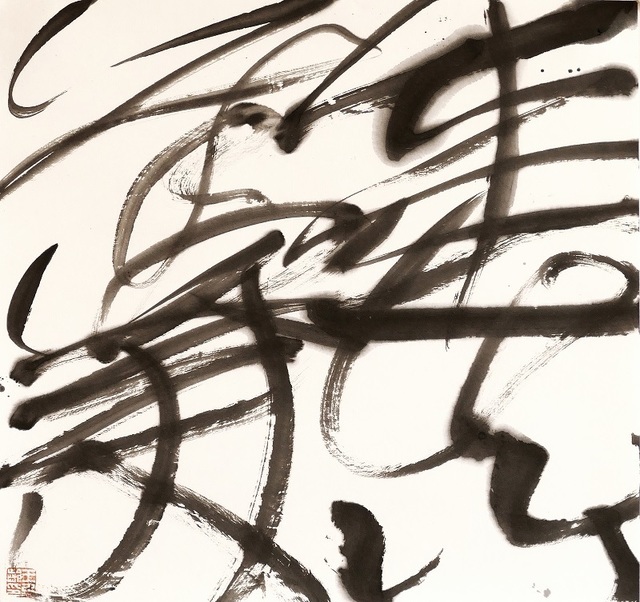 Regarded as one of China’s greatest living calligrapher, Wang is best known for his public performances involving large format “Wild Cursive” script (狂草), a Chinese calligraphic style characterized by its erratic and dynamic strokes. 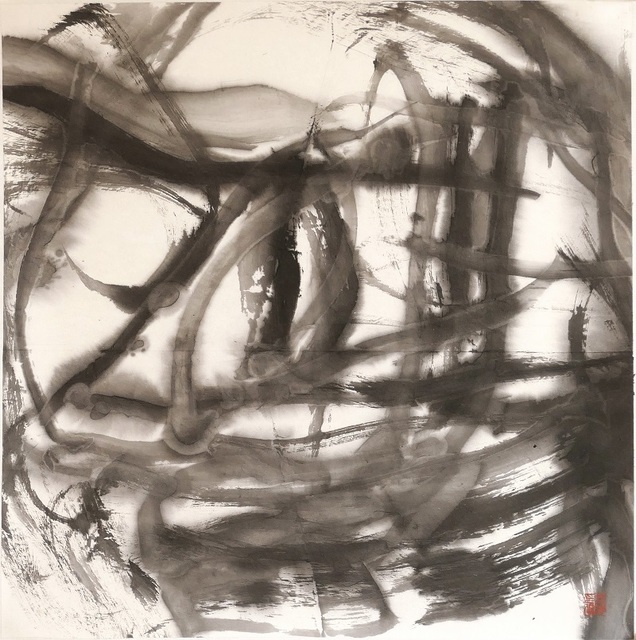 His works are often deeply rooted in the ancient philosophies of Buddhism and Taoism, as well as the Chinese classics. 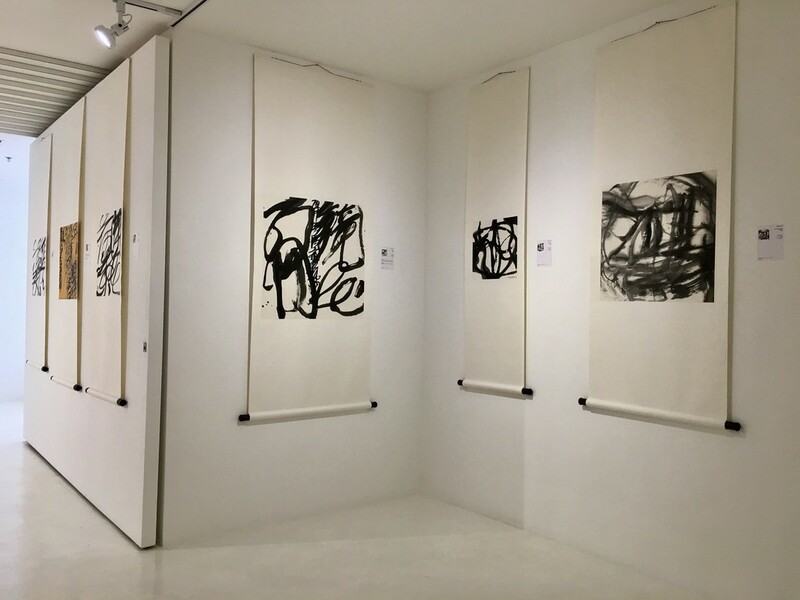 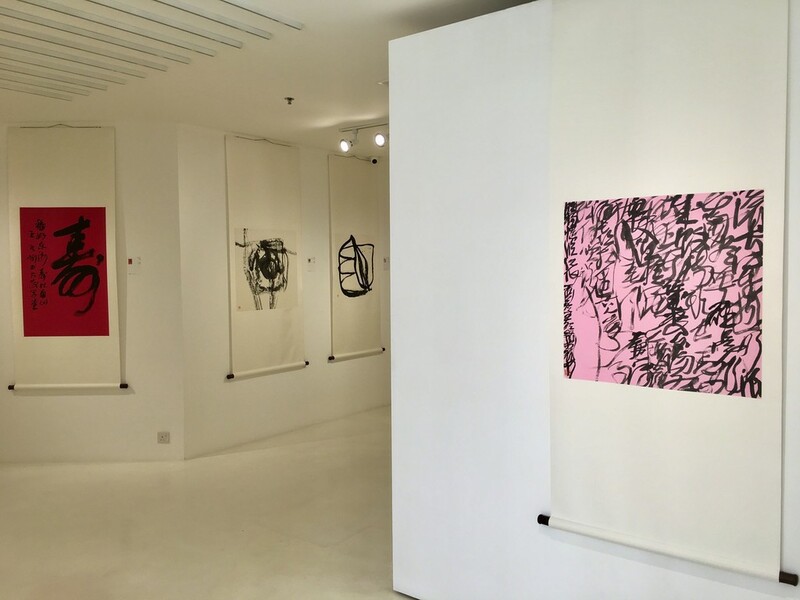 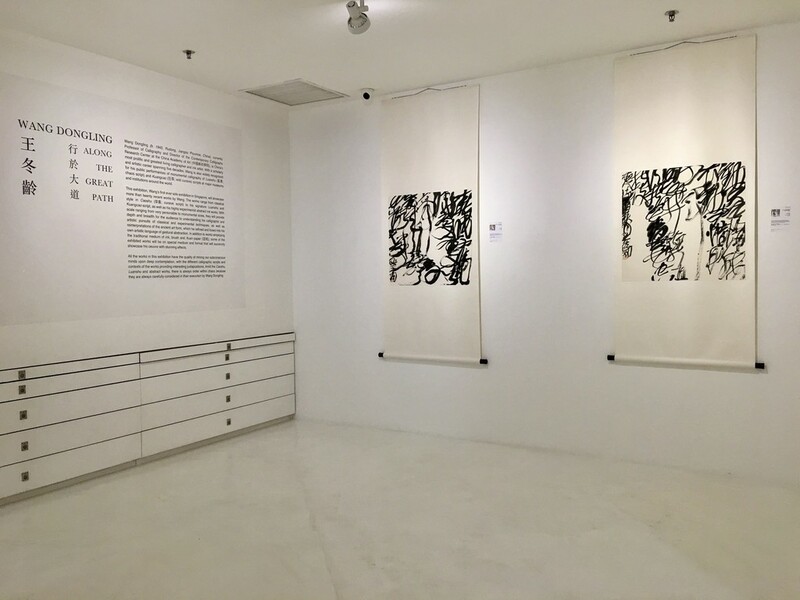 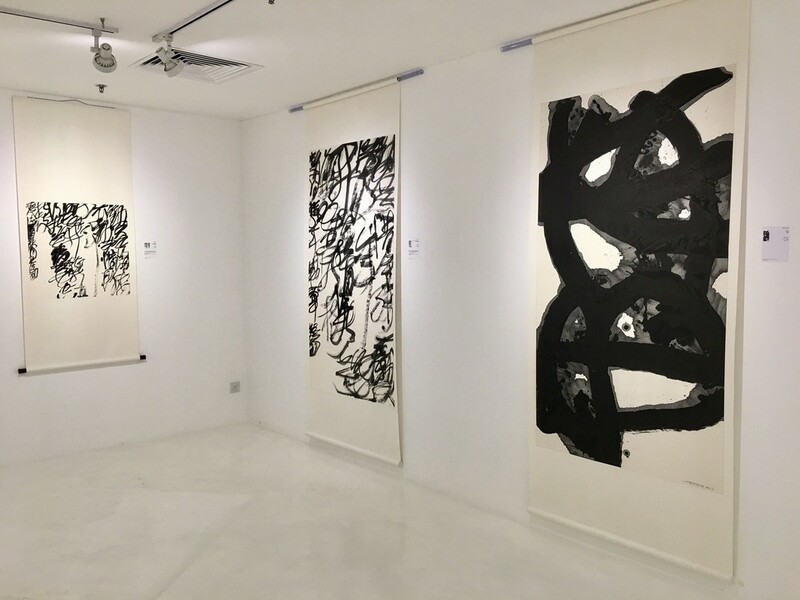 Along the Great Path is Wang’s first ever solo exhibition in Singapore, and features over 30 abstract ink and calligraphic paintings. 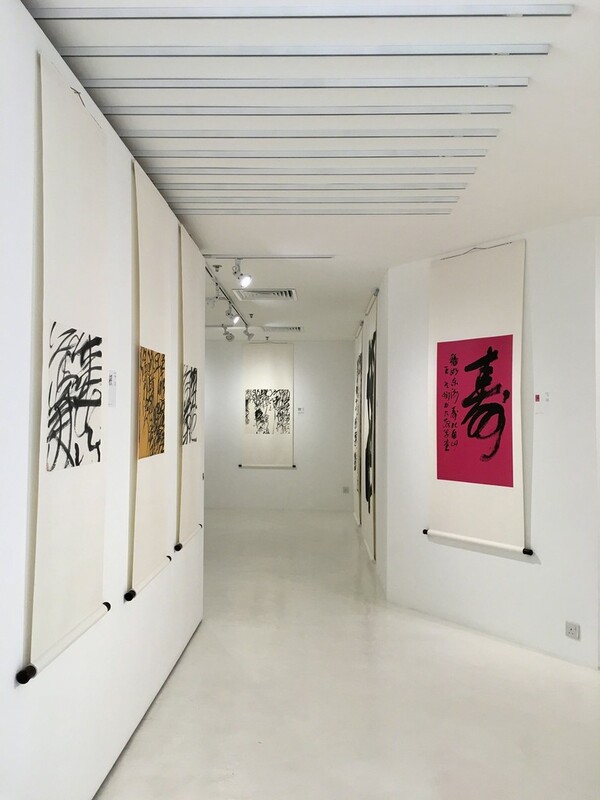 Among these works, a selected range is presented through a unique medium and format. 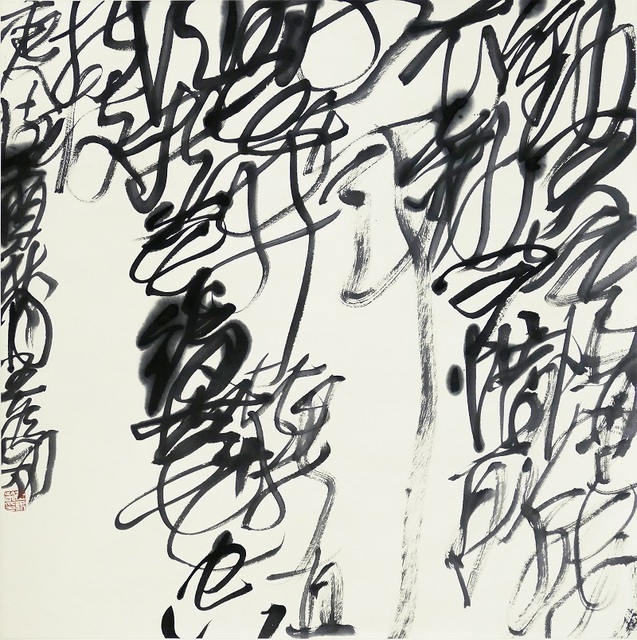 The exhibition will provide viewers with a rare opportunity to view and appreciate Wang’s captivating and powerful calligraphic works up-close. 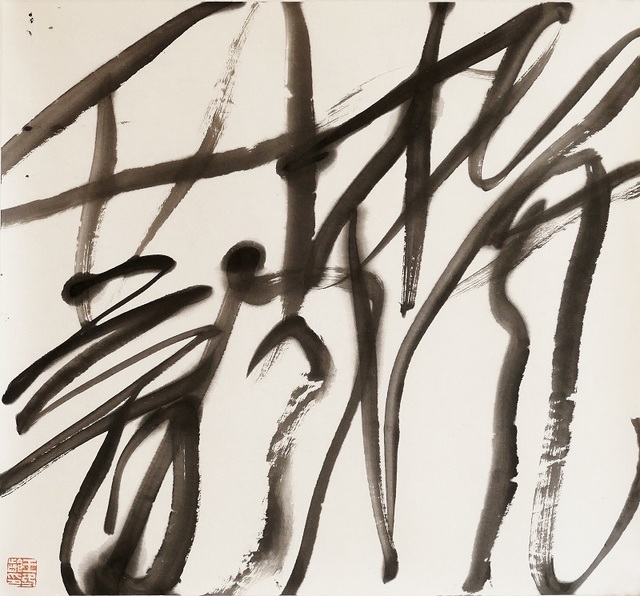 Born in 1945 in Rudong, Jiangsu Province, China (中國江蘇省如東), Wang graduated with a Bachelor’s Degree in Fine Art from the Nanjing Normal University (南京師範大學) under the guidance of prominent literatus and calligrapher Shen Zishan 沈之善 (1899-1969). 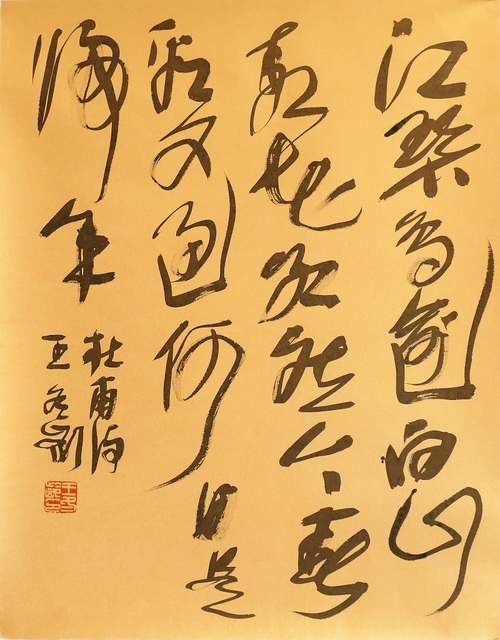 Wang also became a disciple of Lin Sanzhi 林散之 (1898-1989), known as the sage of cursive script, during this period. 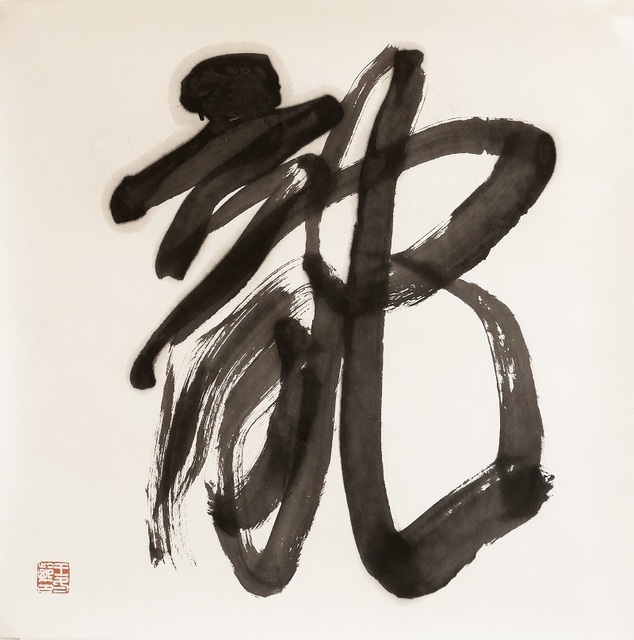 He received his Master’s Degree in Fine Art from the Calligraphy Department from the then Zhejiang Academy of Fine Arts (浙江美術學院) (currently China Academy of Art 中國美術學院) in 1981, under the tutelage of Lu Weizhao 陸維釗 (1899-1980) and Sha Menghai 沙孟海 (1900-1992), when his calligraphy started to emanate its own style and character. 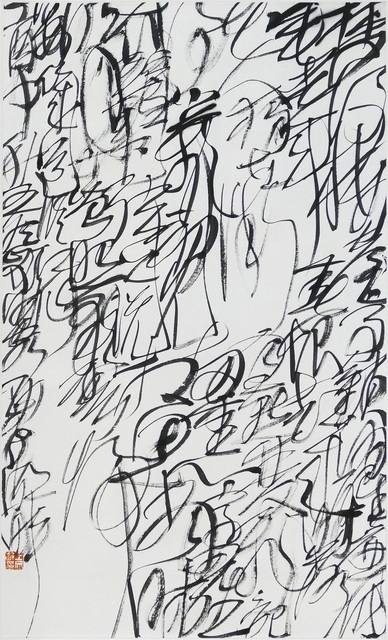 In 1989, at the invitation of the University of Minnesota, USA as a visiting professor to teach Chinese calligraphy, Wang embarked on a journey through the US for four years that expanded his vision of artistic practice through teaching, participation of symposiums and solo exhibitions at institutions like Harvard University and University of California, Berkeley. 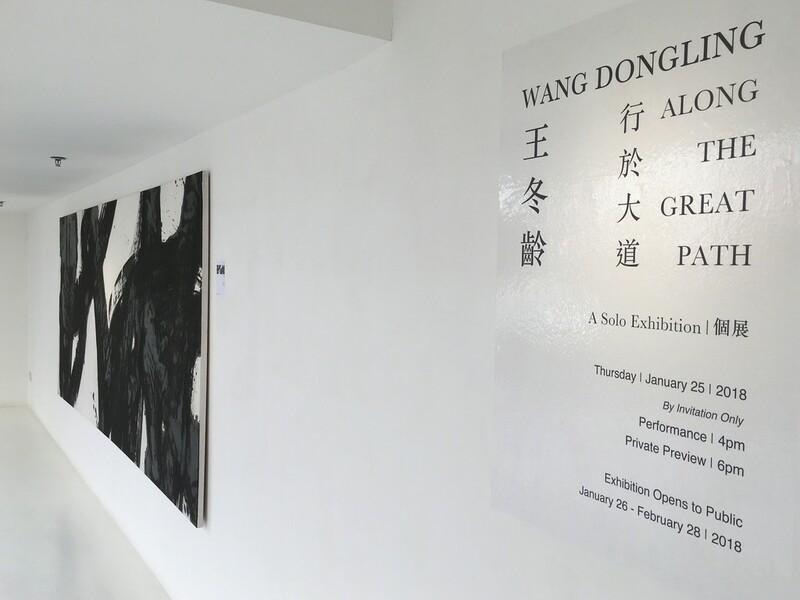 It was during this period that Wang started his modernist engagement when he immersed himself in the modern works of acclaimed artists like Pablo Picasso (1881-1973), Paul Klee (1879-1940), Joan Miró (1893-1983) and Henri Matisse (1869-1954). 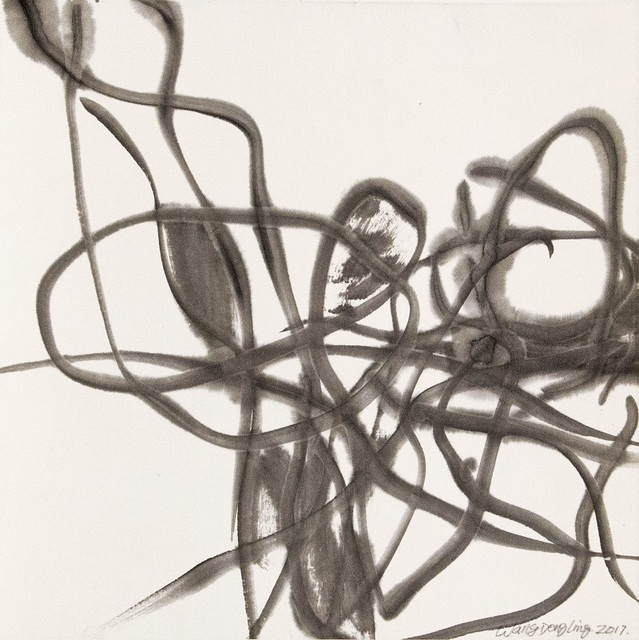 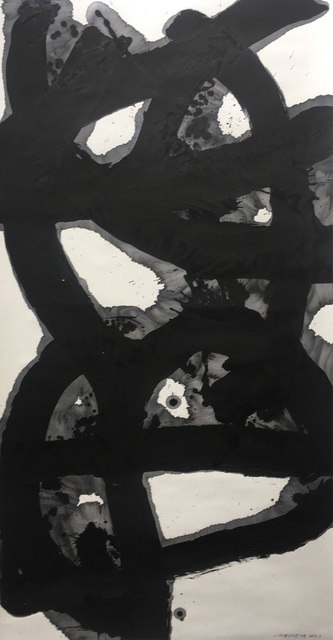 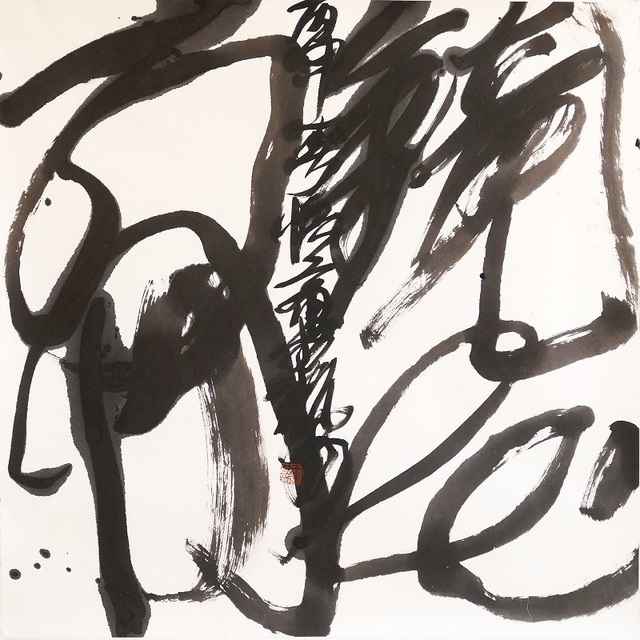 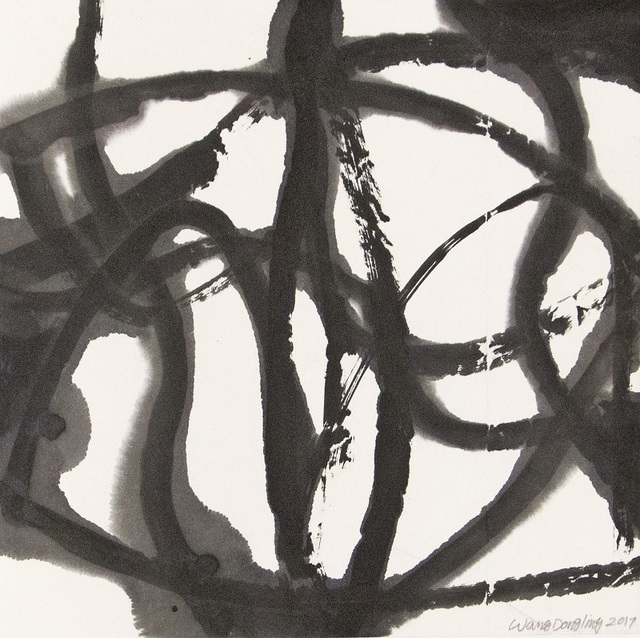 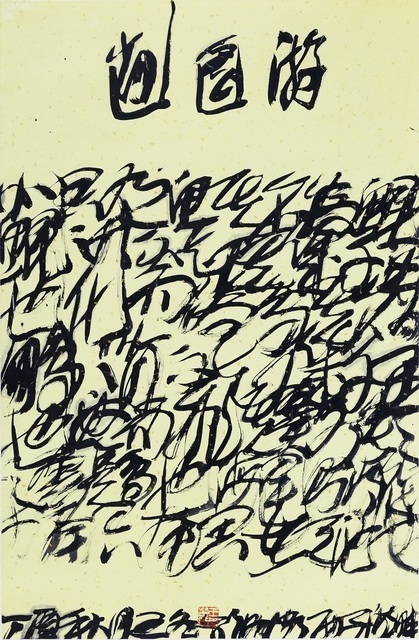 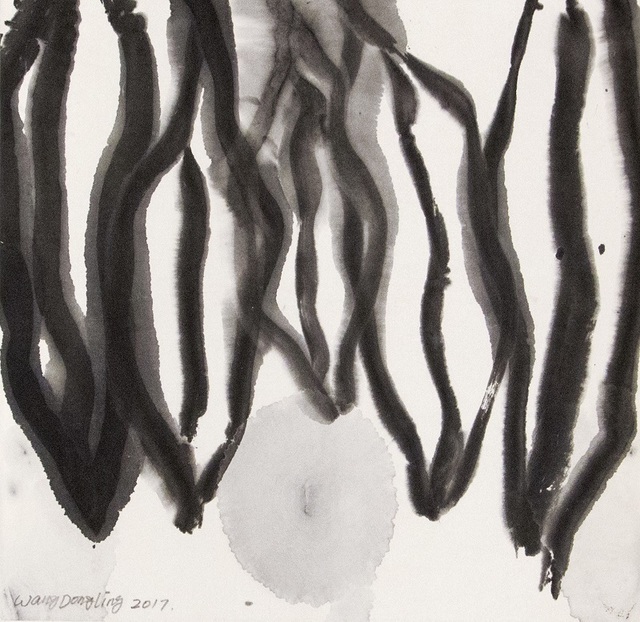 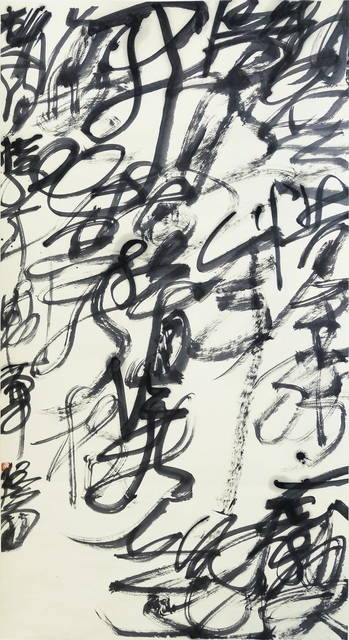 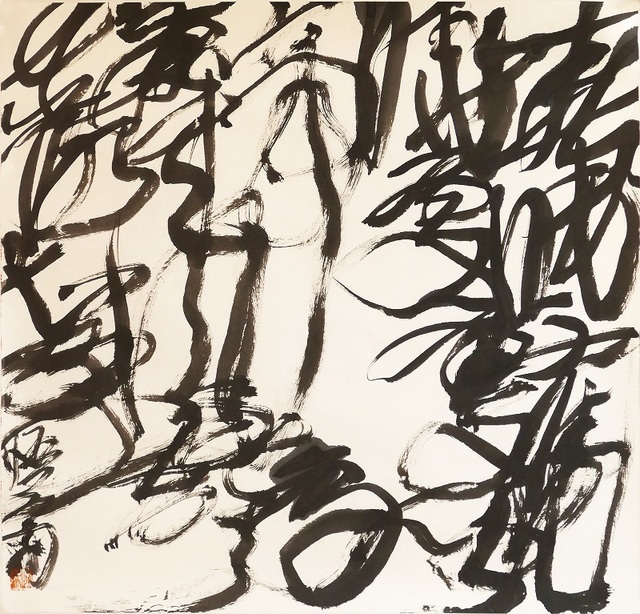 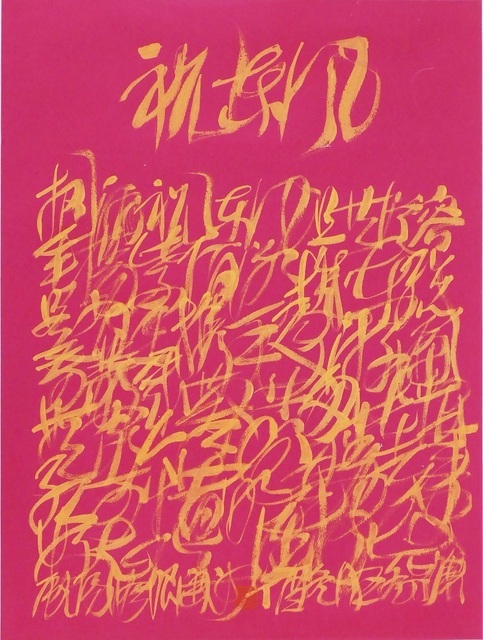 In addition, Wang was also exposed to Japanese calligraphy during the 1990s, especially of works from the Japanese master Inoue Yuichi 井上有一 (1916-1985). 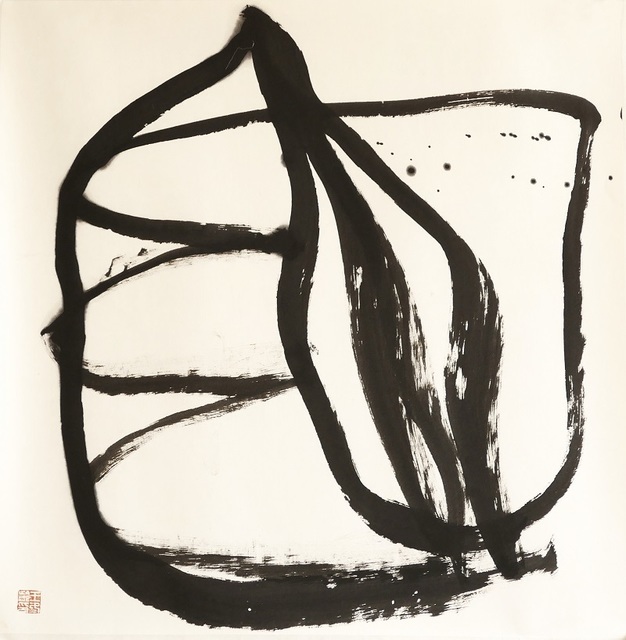 All these influences aroused Wang’s pursuits of experimental techniques and reinterpretations of the ancient art form, refining and fusing them into his own artistic language of gestural abstraction. 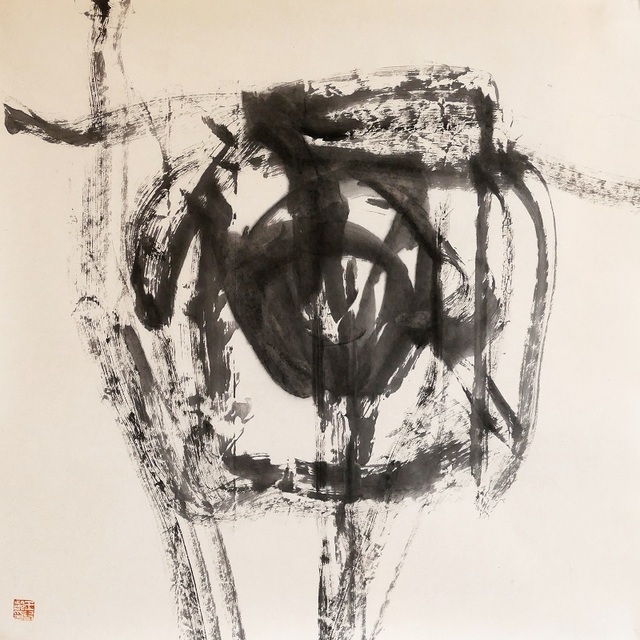 Wang’s works have been prominently exhibited at institutions and several international venues such as the Metropolitan Museum of Art (New York City, USA), Guggenheim Museum (New York City, USA), National Art Museum of China (Beijing, China) and the Palace Museum (Beijing, China). 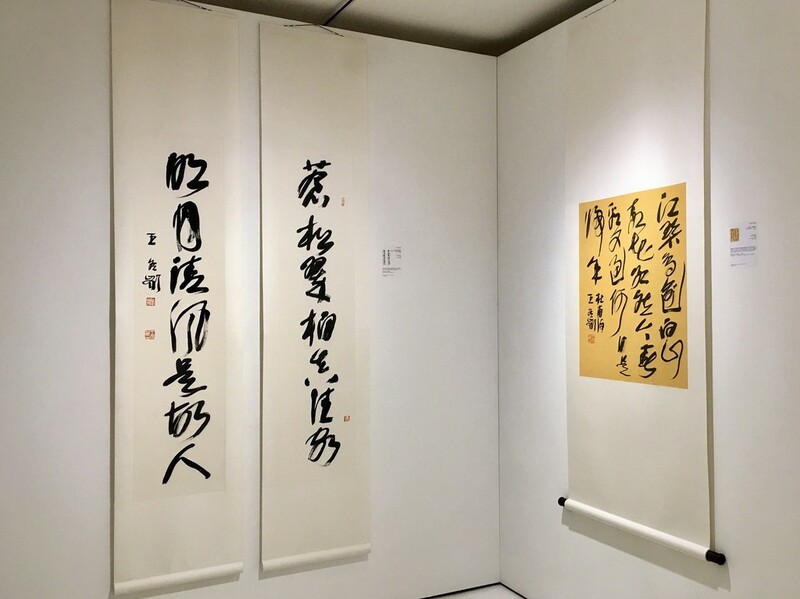 They can also be found amongst others in the collections of the British Museum (London), the Zhejiang Museum of Fine Art, (Hangzhou, China), the Yale University Art Gallery (New Haven, USA), Harvard University (Cambridge, USA), and the University of California, Berkley (USA). 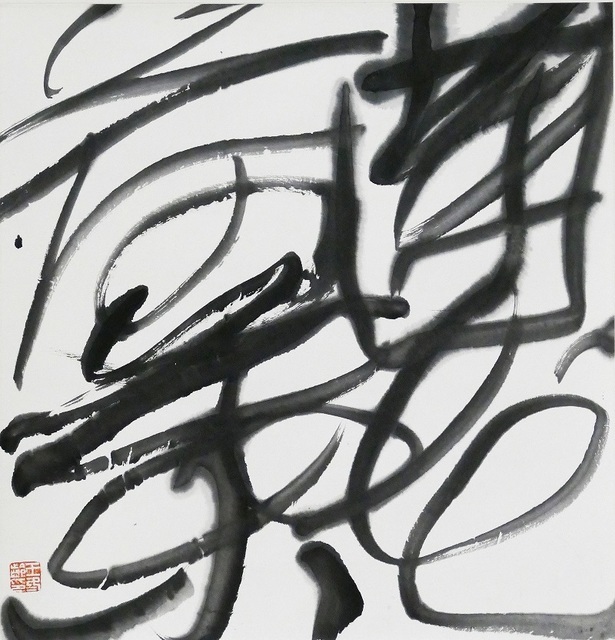 Wang is currently a Professor and Director of the Modern Calligraphy Research Center at the China Academy of Art. 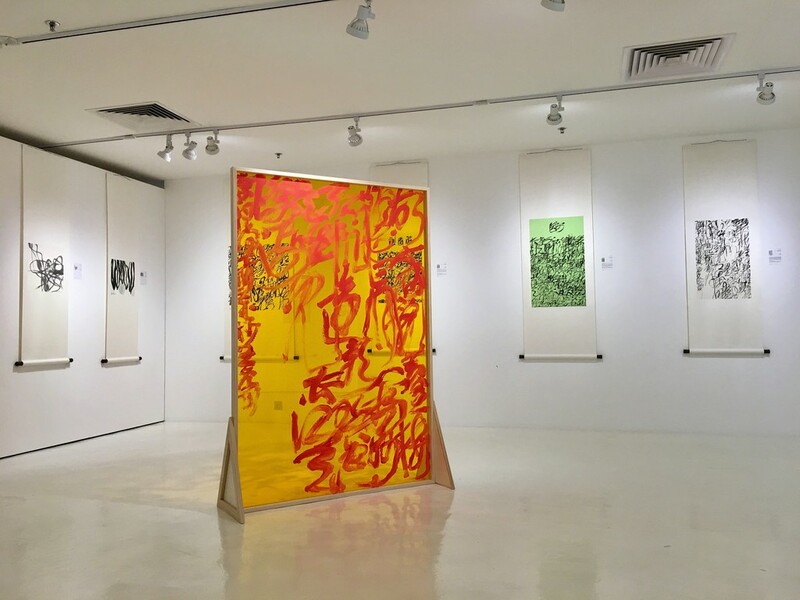 This exhibition is of Singapore Art Week 2018, a joint initiative by the National Arts Council, the Singapore Tourism Board and the Singapore Economic Development Board, Singapore Art Week reinforces Singapore’s position as Asia’s leading arts destination. 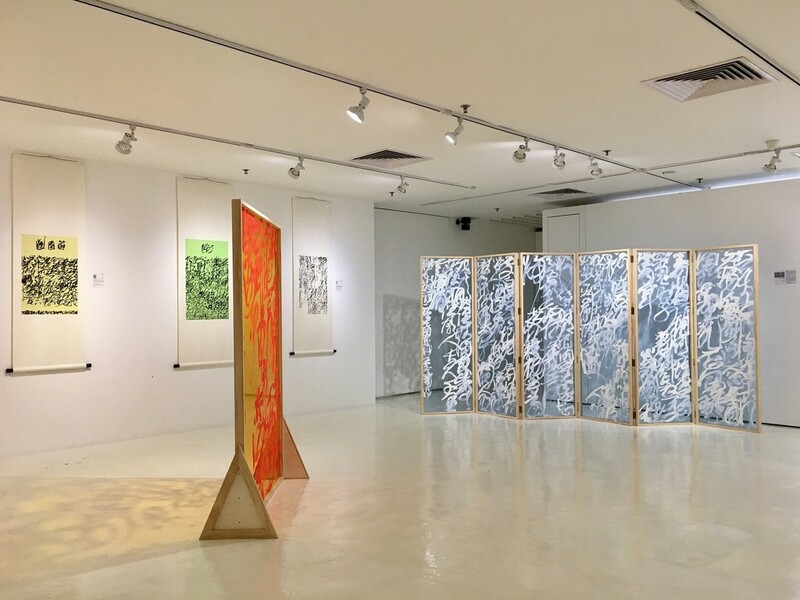 In its sixth edition in 2018, the twelve-day celebration of the visual arts will be taking place in venues across Singapore, from galleries and museums to art precincts and non-profit spaces.